For the second consecutive year, I had the honour of opening and co-chairing Tucana’s People Analytics Conference (#PA16LON) in London, which has quickly established itself as the largest gathering of analytics practitioners in the HR space in Europe. Recent surveys by the likes of IBM and Deloitte confirmed the rise in the adoption of people analytics by organisations across the globe. If anything, #PA2016LON suggested that interest levels are rising even faster. 330 attendees from 196 companies and 26 countries attended over the course of the two days – that’s twice as many attendees as in 2015. Is HR ready to grasp the opportunity to move the function forwards, which analytics offers? A number of speakers commented that HR capability remains the biggest blocker to progress. Mark Berry (and he is a CHRO, so is well-placed to comment) was particularly compelling and verbose in articulating some of the dysfunctional HR habits that impede analytics. Much has been spoken about analytics and insight based decision-making in HR. Less has been realised. Perhaps it’s time for the talking to stop and the doing to begin. As Berry so perfectly describes it, analytics should be the “GPS of HR”. There’s no excuse for not starting the journey. The only exception to the ‘…must report to the CHRO’ rule is where people analytics does not sit within HR but is part of an enterprise wide analytics team. Sally Dillon from Aviva, who has previously led the insurance giant’s HR Analytics team, explained how creating an enterprise wide function had enabled her team to combine people data with other business data to drive performance improvements across the business. Like other successful analytics functions I’ve seen based outside HR (e.g. LinkedIn and Chevron), Aviva avoid the danger of people data being forgotten because there is a dotted line between the function and the HR leader. In his keynote, Jonathan Ferrar presented research from his forthcoming book on the practices of some of the leading practitioners of people analytics around the world. One of his findings is that there are seven main forces driving the demand for analytics initiatives (see Figure 1 below). The two most common are Cost (second) and HR for HR (top of the list). Whilst cost-led initiatives are understandable and logical even in helping to create business impact, initiatives that are restricted to HR are less so. The big opportunity for HR with analytics is not to justify for example the ROI of the training budget, but to provide insights on some of the big challenges facing the business such as improving sales performance or increasing the number of patents. This is what captures the attention of CXO. Ferrar also described his eight steps of the analytics process (see Figure 2 below), highlighting that the first two steps (identifying the right business questions and hypotheses) and the last two (storytelling and change management) are sadly too often neglected at the expense of the actual data gathering and analyses. Identifying the right business questions and working with the business to develop hypotheses as to what could be the root causes are key to defining and focusing work on what is actually important to the business. If there is no business impact, what is the point of expending effort? Identifying the right business questions to work on is one key step, crunching and analysing data is another but perhaps the most important part of the analytics process is storytelling. Creating convincing stories that are insightful and compel senior leaders to take action and/or change course are fundamental as otherwise all the hard work and analysis will go to waste. Once the go-ahead has been given for action, the final critical step is effective change management. These final steps are two reasons (business problem definition is another) why a high degree of core consultancy skills is present in the overwhelming majority of mature people analytics functions I have had the good fortune to encounter. It was refreshing to hear a number of speakers explain how their analytics initiatives were equally targeted at employee as well as business benefit. Whilst people analytics should provide insights that help business leaders make better business decisions to improve performance, there should also be an equal focus on making work better for employees. Two great examples came from Ian Bailie of Cisco (see more in this article) and Subhadra Dutta of Twitter, who by applying a strong employee focus to their initiatives are reaping dividends in the areas of employee mobility/development and engagement respectively. The more employees can see the benefits of what’s in it for them, the more they will be happy to contribute to and allow their organisations to derive insights from their data. IBM Kenexa Talent Insights - if you will forgive my mild self-interest, the clamour at the IBM stand to see the Kenexa Talent Insights predictive analytics solution means it warrants a place on this list. With three parallel tracks at #PA16LON, it was impossible to see all the sessions – even more so when you are co-chairing! As such, I missed what by all accounts were great sessions from the likes of Luk Smeyers, Saba Beyene (Walmart – see article here),Claude-Alain Descloux (LinkedIn), Peter Howes, Mike West, Max Blumberg and Jude Fletcher / Michael Wilkinson (Nestlé UK). As such it would be great that those who did attend these sessions provide their key takeaways in the comments section of this blog – let’s try and make this as comprehensive resource as possible! Organising conferences is not an easy undertaking. Standing out from an increasingly congested market of people analytics conferences is even trickier. So, Barry Swales and Tucana deserve recognition for not only making #PA16LON the biggest people analytics conference I’ve attended, but also one of the best. I’m already looking forward to People Analytics 2017, which takes place at the same venue on 25-26 April. Follow the Tucana site and Barry's excellent LinkedIn Group - People Analytics: Data-Driven HR to keep-in-touch. Finally, I’d like to tank my Co-Chairs Richard Phelps and Andrew Marritt, the speakers I had the privilege of introducing (add Bernard Marr, Jason West and Vladimir Dimitroff to the names above - as well as the ones I didn’t! ), the delegates and finally Barry Swales and Tucana for inviting me back to co-chair once again. I’d love to make it a hat trick in 2017! David is a respected influencer, writer and speaker on people analytics and the future of work. He was recognised as Best Writer at the 2015 HR Tech Writers’ Awards, and was awarded one of ten LinkedIn Power Profiles for HRin January 2016. David’s role as Global Director, People Analytics Solutions atIBM enables him to help clients apply an analytical, insight led and business outcome focused approach to their talent strategies and people decisions. David also speaks at and chairs industry events. 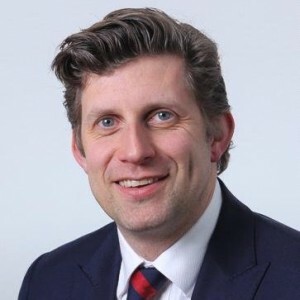 He has been co-chair of Tucana’s People Analytics Conference in London for the last two years, is one of the judges of the 2016 Workforce Analytics Excellence Awards, is a keynote speaker at the Workforce Analytics Summits in Sydney and New York in May, is a member of the HR Tech World Blog Squad and will moderate a session at Beyond - The Global HR Leadership Forum in Amsterdam on 30th June. Connect with David on LinkedIn, follow him on Twitter and read his blogs onHR Tech World and ERE.